Several times throughout my intro to Hebrew Bible course this semester, students asked questions about Satan. It came up right at the beginning, for example, when reading the garden encounter between the serpent and Eve. 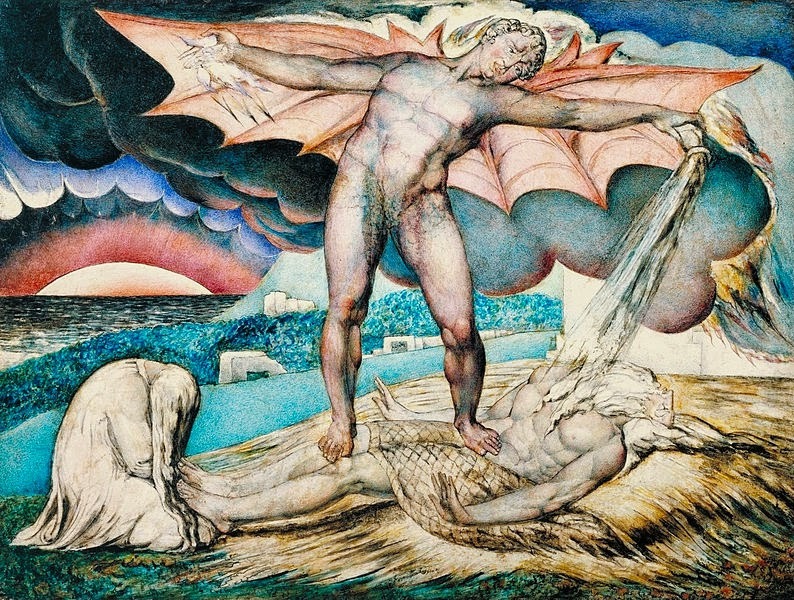 I found myself saying things like, “yes, but that isn't Satan yet.” Now, as the semester comes to a close, we looked at Apocalyptic Literature by reading the opening to Ezekiel, parts of Zechariah, as well as excerpts from the New Testament, and I finally got to say that, at last, we have Satan. The topic seemed to be so interesting to the students that I added a brief lecture on the historical development of Satan. I used Phil Harland’s excellent podcasts to help me prepare the lecture, and used the basic structure of his course as my outline. I found his podcast series, which is essentially recordings of his lectures, to be very informative and well organized, even if the audio quality is sometimes pretty low. The basic outline is simple, moving from Mesopotamian and Canaanite chaos and combat mythology, to Zoroastrianism and early Israelite themes in the Hebrew Bible, and finally ending with Judean and the early Christian apocalypticism. While Harland covers several Ancient Near Eastern chaos/combat mythologies such as Ninurta vs. Anzue and Ba'al vs. Yamm (sea) and Mot (death), in my class I focused on the battle between Marduk and Tiamat, since we had covered that earlier in the semester while reading Genesis' creation narratives. In the account of Enuma Elish, the chaos sea monster, Tiamat, is destroyed in combat by her offspring Marduk. The destruction of chaos brings order and creation. There are similar themes in the Hebrew Bible, where Yahweh is set opposed to Leviathan, Rahab and Behemoth (Psalms 74:12-17; 89:5-18; Isaiah 51:9-11; Job 40-41). Particularly important aspects from this strain of Ancient Near Eastern mythology is chaos' threat to order, the serpent/dragon imagery, and cosmic battle as the way to bring about or maintain order. Within the Hebrew Bible, apart from the references to a chaos monster, are references to rebellious foreign kings, battles with cosmic elements and the angelic beings within a divine council or heavenly court. Some of the prophets present history as playing out as a reflection of cosmic rebellion and battle. We find this in Ezekiel, with the prince of Tyre and pharaoh represented as cosmic beings and the reference in Isaiah 14, with a king called a shining one, Son of Dawn, being expelled from heaven. Further, we have references to an adversary (Heb: ha'satan) in Kings, Chronicles (21), Job (1-3), and Zechariah (3). These passages seem to add the rebellious and oppositional character, and its due punishment, to the developing concept of Satan. The second aspect of the background of Satan is the influence of Zoroastrian on Israelite religion. The main aspect of Zoroastrianism, at least in regards to this discussion, is its dualism and apocalyptic nature. As an explanation for evil, Zoroastrianism had developed an ultimate battle in which the light will eventually destroy the darkness, even though they are currently locked in an even battle. The cosmic dualism and eventual apocalyptic victory of light are an important aspect of later Judean apocalypticism. This same dualism of light and dark is also found in the apocalyptic writing of the Qumran sect, who saw themselves as the sons of light. The apocalyptic worldview has certain characteristics that are likely drawn from these earlier traditions, which Harland notes as "revelation, dualism (light/good vs. darkness/evil), evil world, God’s predetermined plan, final combat, destinies of the righteous and the wicked." To be clear, this is not to make a grand claim of linear dependence, but it does show the general trajectory of themes which would be brought together in the concept of Satan. Check out Phil Harland's podcasts, which are much more thorough than this overview. 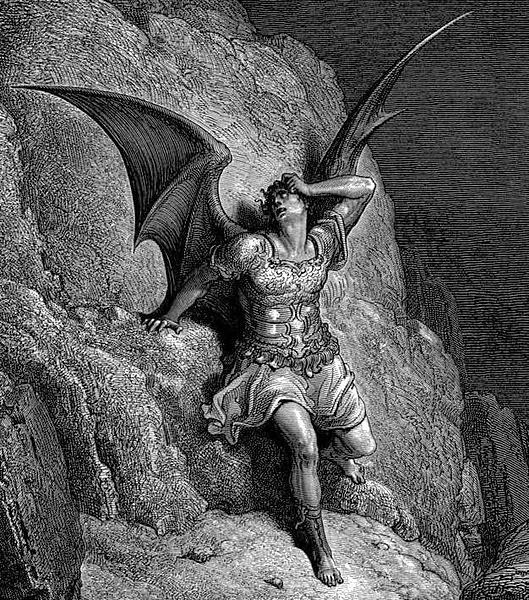 In my next post, I will look at the role of Enochic literature and Jubilees in the development of Satan.